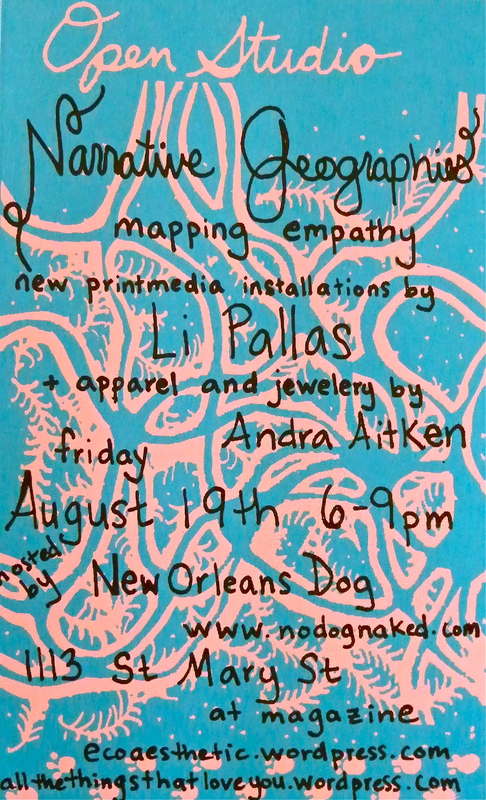 new printmedia installations from me and my lovely studiomate Andra Aitken of New Orleans Dog. She also makes exquisite jewelry. you can take a look at my print page to see a preview of some of what I will show.